A New Dawn Realty is committed to providing the citizens of Stokesdale with the best real estate services in the area. 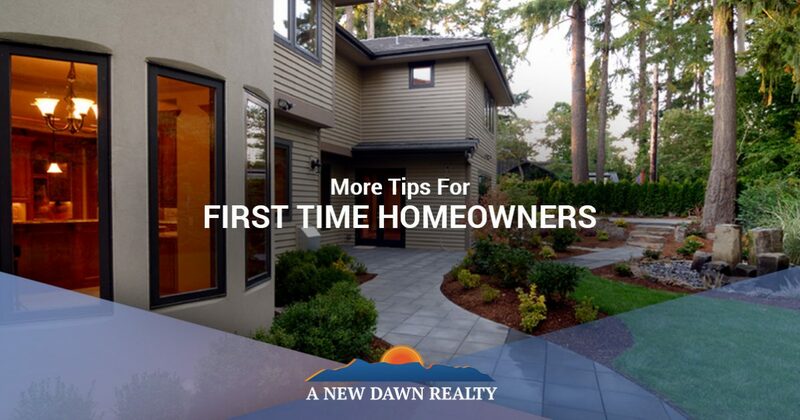 In this blog post, we’ll look at a few more helpful tips for first time homeowners that are looking to buy their first home. Buying a home can be an incredibly exciting experience, especially for first timers. When taking tours of homes, one can become easily overwhelmed by the many options available. While you may have already decided on a budget, you can quickly lose sight of this when touring a home with countless amenities. Things like swimming pools and jacuzzis are nice additions to home, but when looking at a home and evaluating all of its elements, it’s important to ask yourself “Do I need this?” While luxuries like these are no doubt a nice addition to a home, sometimes they can cloud our judgment and make the home itself better than it really is. Paying close attention to all the parts of a home and evaluating them individually is a great way to help us understand if we really do need the home as opposed to simply wanting some of its more luxurious features. When you’re buying a home, you’re not just buying a home for the present. Thinking about your home in a long term sense is key, and looking at it as an investment is as important as looking at it as a place to call your own. Whether or not you have children or plan on doing so in the future, buying a home in a good school district is always a good idea, as this is one of many factors that can help your house sell should you decide to put it on the market. The neighborhood it’s located in is also an important factor to consider, as some areas have a tendency to be more desirable than others. If the neighborhood itself is growing can also play a factor in your home’s value, and if businesses are moving into the general area, this can affect your home’s value moving forward. While your home will satisfy an array of different needs that are specific to you and your family, thinking big picture and long term is something to keep in mind when buying a home. Even if you don’t see yourself selling your home in the near future, you never know when you may end up changing your mind. While open houses are a great way to get a full tour of the home, don’t limit yourself to simply looking at the property and making a decision based off that. Ask as many questions as you can to have a better understanding of the property overall. Ask when it was built, if it has had any major repairs done to it, if there is anything that may need to be repaired and other similar questions to help you better determine as to whether this is the home for you. Those are just a few more helpful tips for first time homeowners. A New Dawn Realty is proud to provide you with the best homes for sale in Stokesdale, and whether you’re looking to purchase your first home or fifth home, our real estate agents are committed to helping you find a home that best suits your needs. Contact our Stokesdale real estate agency today to set up an appointment!